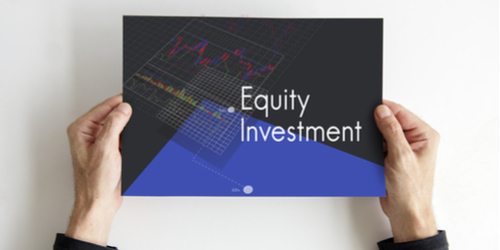 Equity investment is one of the strategies that investors use to maximize ongoing profits in the form of capital gains. This investment is mostly in the form of stocks. Equity, roughly, is commonly known to be an asset’s value minus its liabilities. An equity investment in the form of stocks signifies partial ownership of the company. The investor may only gain income upon the company’s decision to distribute its proceeds after asset liquidation or upon selling the shareholdings to other investors. It is integral to make sure the investors have a remarkable, detailed and accurate business plan, a superb accomplishment record and portfolio management skills. There are multiple, competitive companies that offer guidance to investors and entrepreneurs alike. Investments in a private equity is relatively beneficial to the economy. Private equity investments commonly attract wealthy people and corporate investors including pension plans, big university donations and family offices. Equity investment function as a funding source for high-risk projects and early stage establishments. Usually, the money is directed to fresh companies that have potential for considerable growth. These companies may develop and expand using investors’ money. There is a number of investment banking firms that help and guide the investor appropriately. These investment banking firms examine the stocks with great attention to detail therefore their guidance is of great importance. In most cases, these firms are able to make correct projection as to the future of a stock based on past performances and various analytical tools that assess future trends. Investors tend to invest in undervalued companies if they shows potential to have substantial growth eventually. This is, in fact, the secret – buy at a low price and sell at a high price. A company growth at a reasonable price will result in an evidently higher returns on the equity investment.